These two holiday homes built in 2006 are tastefully and comfortably decorated. 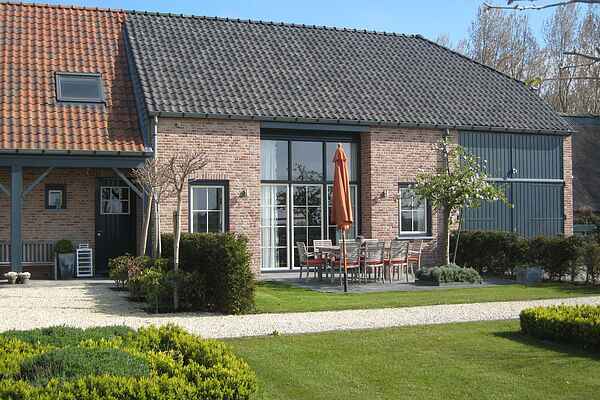 These two connected houses which can be booked together for groups of up to 16 persons (NL-4505-05A) are ideally situated to discover the many facets of Zeeuws-Flanders. The magnificent coasts are within driving distance. To relax you have the use of a sauna. Sports enthusiasts can play a few sets on the adjacent tennis (grass) court (only in July and August). The friendly owners will proudly welcome you in Hof 't Suytsant.